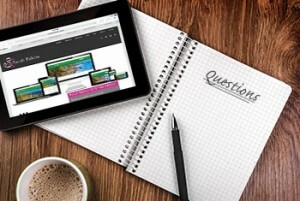 Should you have a website (Yes!)? What kind of website do you need, anyway? Should you participate in Social Media? Need help fine tuning your existing social media? Having a website is like giving your business card to the world and beyond. Your website is a piece of the puzzle in the implementation of your business strategy. Everything in your website will be hand tailored to support your business strategy, help market potential customers effectively, and make sure everyone that is looking for you does. There are many different kinds of websites that are geared to different purposes, and understanding your business strategy is the key to unlocking which one is right for you. There are some things that should always be the same. Well coded to modern standards that utilize the latest and greatest tools and can downgrade gracefully if necessary. Tools/technologies that will effectively support your business strategy, this includes social media! For the big picture, this information is the foundation to creating a site tailored to your business. A side effect of this is that I understand your business so well, I can write and/or edit your content to have one voice. You will not need to write lengthy articles, posts, etc, just send me the link or the bullet points and I create the content for you. SEO is the process of affecting the visibility of a website or a web page in a search engine’s “natural” or un-paid (“organic”) search results. The most important take-away here “un-paid” results. There are many businesses that enterprise on optimizing your site for SEO. Many use techniques to force a website to the top of the results page, in which many businesses pay dearly for when their site gets banned from google, for example. Branding is the way your customer perceives you, and therefore, whether you want to be or not, You are a brand. Your brand promotes recognition, helps set you apart from the competition and allows you to connect emotionally with your customers. Just think of how passionate people are about companies like Apple, Honda, Coke and Disney. Strong brands like these tell customers what to expect, speak of business value, inspires employee loyalty, and generates leads. Whatever stage your business is in, the more consistent your brand, the more effective and recognizable your identity becomes. I can assist in your brand development, and work together to employ it on the web and in print. Aside from determining which social media platform(s) to go with, it is even more important to have a willingness to be part of the conversation on an ongoing basis. In many cases, having a social media presence outside of your website is a good thing. However, being present is not the same thing as just having a presence. Just as with your in-person social network of family, friends, clients and associates, the more you engage with them, the more they engage with you. Some social media platforms take less attention that others, some really help boost SEO results, and some give your competition may have an edge over you. I can audit your existing social media and develop a plan for you to increase your exposure and brand consistency. Social media a very big world all unto its own, and I can help navigate it with you once I have a complete picture of your business strategy and branding. Responsive web design, also closely related to Adaptive Design, is an approach to web design aimed at crafting websites that provide an optimal viewing experience across a wide range of devices from desktop computer monitors to mobile phones. It’s first inception was in 2004 by Cameron Adams, and became a widely used by 2011. Today, you’d be hard pressed to search the web and not find an example of responsive design. With todays multitude of screen sizes, the old mobile site was no longer sufficient to meet the demands of screens users employed, and developers began looking for was to incorporated easy reading and navigation with a minimum of resizing, panning, and scrolling. In many developer circles, the mobile first and content first philosophy is at the heart of responsive design. It focuses on the most important content and functionality for the smallest mobile devices. Then, as the site had more space in larger screens, more elements could be added in. Information architecture is the process through which we strategize the flow of information and plan the usability of your site and/or related social media networks, and print collateral. In short, it is the Why and How of your design. For example, a stunning and stylish website has no power to retain potential customers if it is frustrating, and difficult to navigate. Your business strategy, and diligent research into competitors is front and center to the success of information architecture. Interestingly enough, the home page of your site is usually the last thing to be created, as it is dictated by all the content of your site.